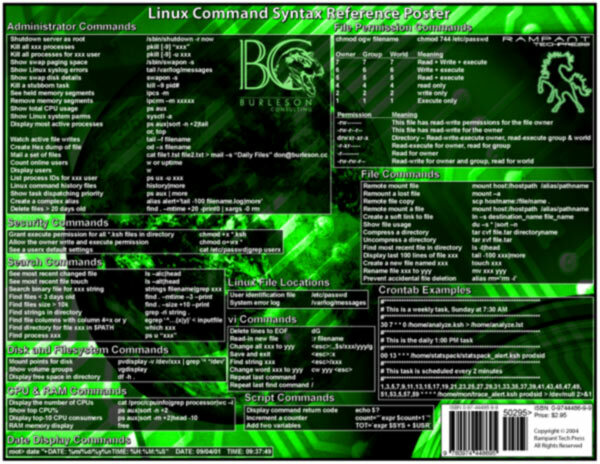 This Linux command reference poster is a wonderful reference tool. The Linux command reference poster is a "must-have" for any and every Linux professional. Don't miss out on this great deal. This Linux command reference poster will not last long. Get yours now because they are selling like hotcakes.